Wait that’s not how it goes. 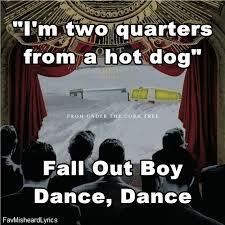 Do you ever find yourself mishearing song lyrics, or is that just me? Oh okay it’s definitely not just me then (maybe it’s Patrick Stump’s fault, who knows).